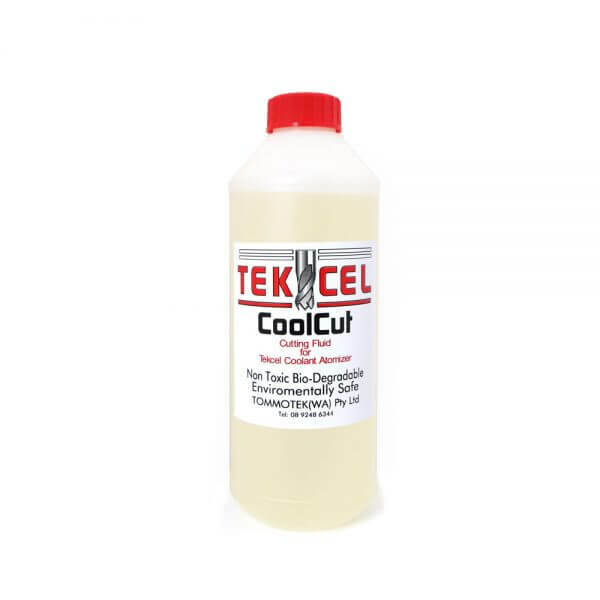 TCC CoolCut is a specially formulated, metal working oil developed for use with compressed air atomising systems fitted to Tekcel routers. CoolCut should be used whenever you cut metals to cool and lubricate the tool during the cutting process. This will prolong cutter life and provide a better cut finish. 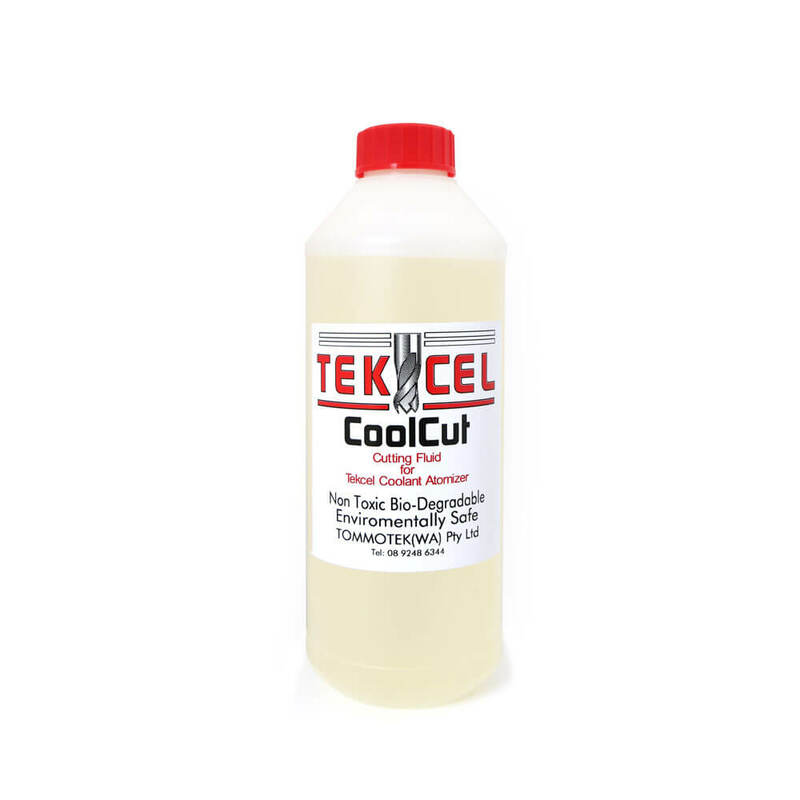 When used correctly, Coolcut will leave little or no residue on the finished parts.